Long before its release, rumors about a supposedly affordable iPhone which will compete with dominating inexpensive Android phones had been circulating all over the tech world. True enough, the speculation turn into reality after the release of the iPhone 5c. But what does “c” stand for? The latest iPhone 5c commercial advertised worldwide highlights this product’s available candy colours, making it appear as if “c” in 5c stands for colourful. Since this model offers exciting hues including white, pink, yellow, green, and blue, it’s indeed vibrant looking even when naked or paired with matching similarly lively cases. Even the screen and wallpaper are candy coloured. Starting at USD $99 at postpaid contract price (the 16 GB version); this is definitely the cheapest iPhone to date. But amidst a thrilling price, cheap may remarkably refer to its design as well. The colourful casing is made of plastic, making it leagues behind the durable and notable titanium alloy iPhone case. Despite being supported by a steel frame, the polycarbonate case still makes it susceptible to cracking and breaking like any other common plastic product. Despite numerous pros, “c” is still equivalent to cons. iOS7. See previous post ____ for more on this OS. Plastic case; need we say more? Collapse, a rough synonym of flop may well define this iPhone’s fate. Most analysts predict that it won’t be long before this model tumbles down the drain of oblivion even though Apple rarely shows its sales record for the public eye. Various sources back up this claim including news authorities like the Wall Street Journal and Reuters, citing Pegatron’s insider scoops. The latter is Apple’s supplier for the iPhone 5c’s plastic case. 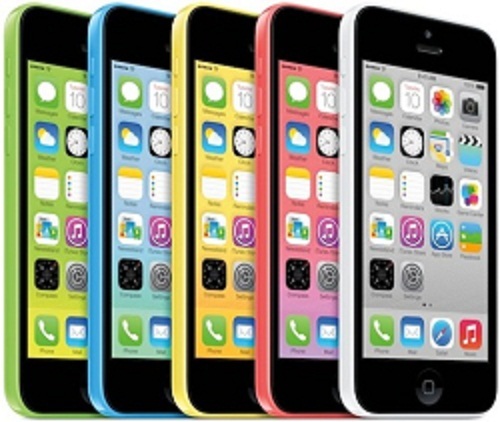 The iPhone 5c is colourful, cheap, comes with pros as well as cons, and may soon collapse. But as always, the final verdict will depend on you, the consumers. This entry was posted in Articles, iPhone and tagged iphone 5c. Bookmark the permalink.